Every year I promise myself that I will start my Christmas prep in October, have my cards written before the end of half term, get ahead with my work and spend the whole of December chilling with the kids. I’m a bit ashamed to admit that it’s now December the 10th, and I’ve written two cards, but in my defence, I’ve watched 5 Christmas plays, half organised 15 teacher gifts, a class collection and counted several thousand pounds of school Christmas Fair money. I’m exhausted already, but I am very much looking forward to the kids breaking up from school when our family Christmas really starts. Before then however, I have big plans to read at least one Christmas book each day with the kids and either bake or make something Christmassy daily too. The girls’ school goes to our local panto each year which I always try and help with and has become a bit of a tradition. It’s always such a lovely morning walking there from school in the crisp December air and watching their little faces laugh and smile all the way through. My husband and I try to have a shopping day before the children break up too, I’ve actually done most of the shopping this year already, but it’s always nice to mooch around getting last minute bits and look for bargains. If I’m honest I am pretty rubbish at budgeting, but I do keep an eye out for special offers throughout the year and try to put together mini hampers rather than buy shop bought versions. I don’t shop too early as I think you miss special offers that way, but leaving it too late carries the risk of things being out of stock. 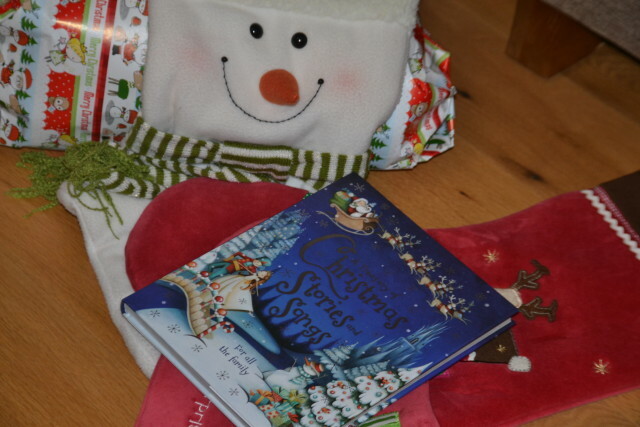 TSB have some great tips for getting organised for Christmas which I shall try and follow more closely next year. I’m also going to try to save money on our bills and banking next year starting with looking at different banks to our current accounts, TSB is one I’m going to investigate. 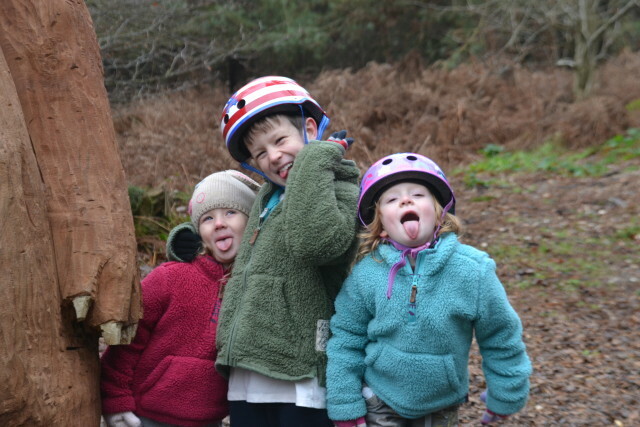 I cannot stand being stuck inside all day so one of our Christmas traditions is to go out for a long walk in the forest on Christmas Eve, this year we’re going to try the Stick Man trail at Alice Holt, which I’m very excited about. We then come home to our ‘Snuggle Sack’ which Cinder, our house elf leaves when he returns to Santa. Cinder always leaves us something snuggly, maybe some fluffy slippers, socks or pyjamas a new book and movie treats for our Christmas Eve movie, last year it was Home Alone, which Zak thought was the best thing ever. Before bedtime on Christmas Eve, we leave a mince pie, carrot and drink out for Santa and have an early night, ready for the excitement of the next day. Rob and I have some mulled wine and get organised. Christmas Day usually starts early, and I have the best video of the kids coming down the stairs one year, I really must dig it out. Zak wanted to eat the leftover mince pie and then decided not to, because of the reindeer spit! Ha ha. We open a few presents, then have a breakfast of scrambled eggs and smoked salmon with a bit of fizz for the grown – ups who want it, I tend to save my Christmas drinks for later on in the day. We pop the turkey in when the presents are opened and go for a walk/bike ride/scoot/skate depending on what the main present was that year. My husband usually cooks while I build LEGO and Playmobil. I cannot wait!! Your plans sounds FAB I am hopelessly behind here! I am really behind here too. Enjoy the stickman trail – you know I think it is ace. I am actually quite organized except as my husband keeps reminding me I haven’t made any mince pies yet this year! There is nothing better than this time of the year. I still haven’t wrapped my presents, even though I always say I will! Cass@frugalfamily recently posted..What do you do with all of your children’s Christmas cards from over the years? Here’s what we do with ours….